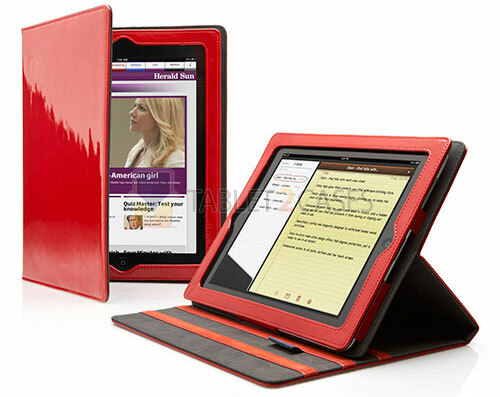 Cygnett Glam is the latest book tablet case for iPad 2. Its glossy finish delivers head-turning design, while the highly durable materials offer your piece of technology maximum protection from impacts and dirt. 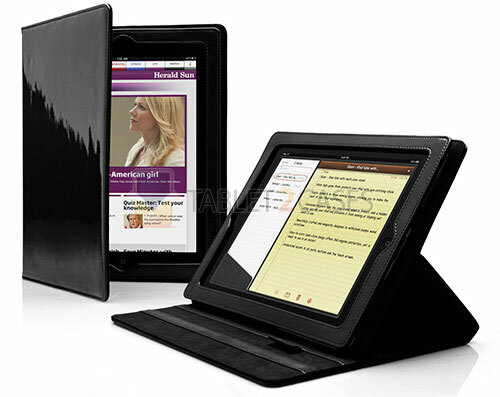 The new case can turn into a slim tablet stand in a matter of seconds offering three different viewing angles. The beautiful design of the Glam will most certainly make it an appealing tablet cases for women , and the sturdy drop and scratch protection will make it highly popular with men. The case fits the iPad 2 as a glove making sure the device will not go anywhere accidentally. All ports and buttons of the device are accessed freely with the case on the pad. The new case comes in red or black color and the manufacturer offers a 2 year warranty.